Keep your gold coins, keys, and other small essentials secure and close by with the Brown Leather Pouch. This medieval leather bag has a roomy structure and a long cord. Pull it tight to secure close, and easily tie it to your belt. 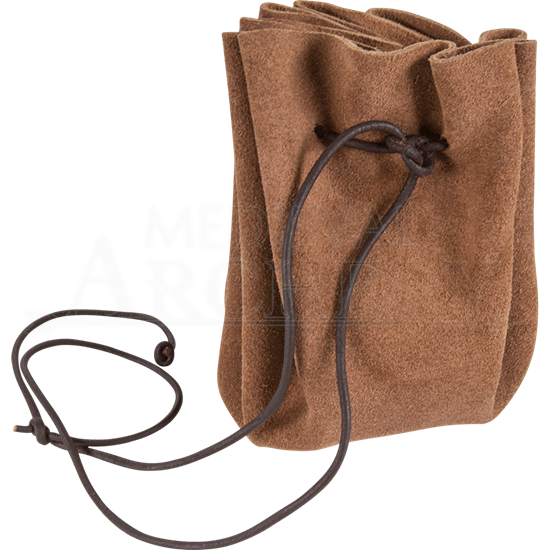 Secure modern or reenactment items in the folds of this handcrafted leather pouch, whether traversing the Renaissance faire, attending a LARP event, or simply carrying what you need in a way that harkens back to earlier eras. 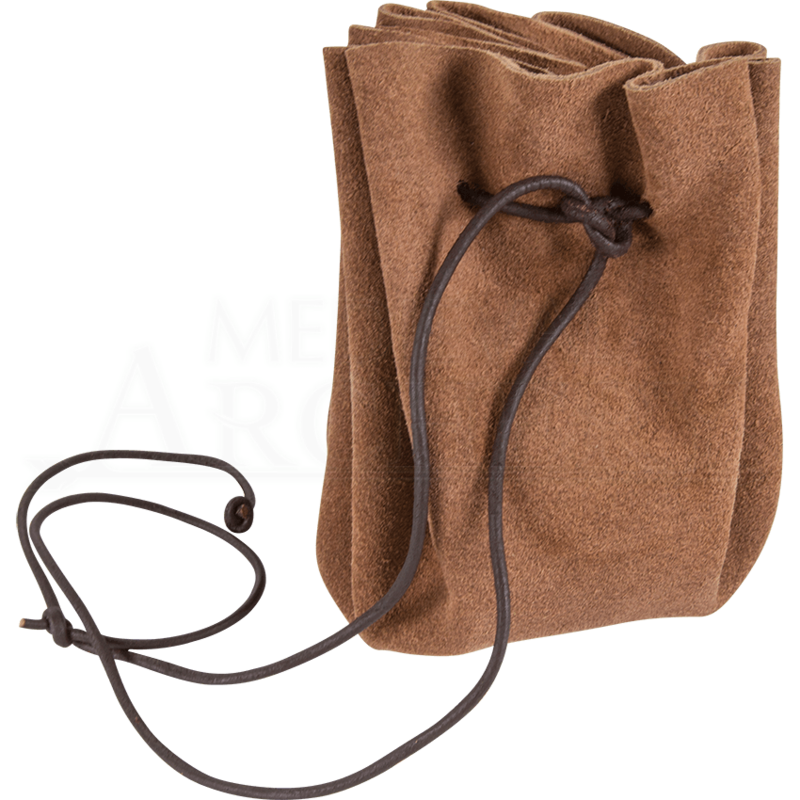 This suede leather drawstring coin pouch does well in both historical and fantasy settings.